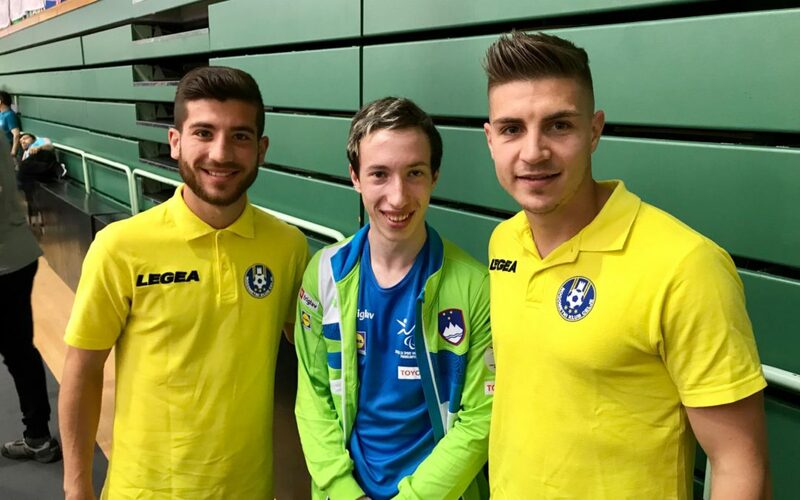 Sport for the disabled is present not only in Laško, but also in Celje. And we know that athletes like to hang out with each other. At the 15th Slovenia Open Thermana Laško today we were visited by football players of the Football Club Celje. Nino Pungaršek and Jan Andrejašič followed the competition with great interest. They couldn’t hide the enthusiasm over the level of games and the overall organization of the tournament. They spent a little more time with Slovenian national team. They congratulated Luka Trtnik, who has for the first time ranked among top 8 in his class. Luka himself is a big fan of football and Ronaldo. 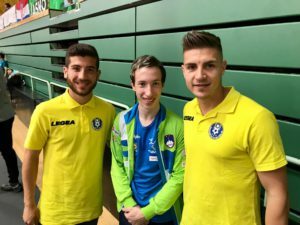 “Congratulations, you are doing well and you are a great example to us all,” they said at the end of their visit and promised to see us again in the fall when Laško and Celje will be hosting World Championship SPINT 2018.